Say hello to National Geographic’s future photography super star Emma Bucheit! Between school, symphonic band and her freelance photography business, Uniquine Photography, she also enjoys horseback riding. Emma’s most passionate school activity, band, has spanned across all eight years of middle school and high school. She currently participates in CHS’ upper level symphonic band playing the french horn. The client base for her photography business, Uniquine Photography, has expanded from horses to people, including but not limited to senior student pictures. Notable achievements include having her work featured in multiple popular equestrian magazines. 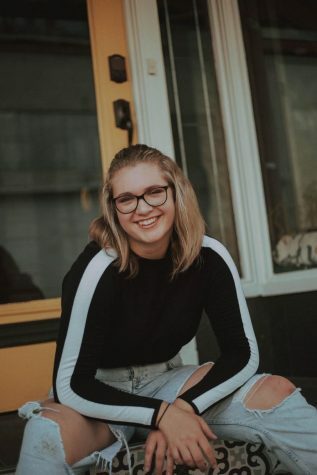 She is planning to attend the University of Akron to major in photography and minor in entrepreneurship or business and aspires to one day work for the popular nature magazine National Geographic. Emma hopes to be able to base her business in either Lexington, Kentucky or Washington D.C..
Emma frequently visits Kentucky, where there is a much better market for horse photos. She says the drive is worth it and the events she attends are not only enjoyable, but a great place to learn and make new connections with other horse photographers and people in the industry. Emma’s interest was first sparked nearly 6 years ago when she took photos of horses on an iPod. “My neighbor had horses when I was younger, and I would sneak over and just watch them, and I fell in love,” she comments. “When I got my first iPod, I started taking photos of anything and everything related to them.” As her fascination continued to grow, so did her knowledge and passion for the art. Through the years as she gained more experience, Emma acquired higher quality gear and by late summer of 2015 she was taking photos professionally.